With six All-Americans including three national champions, the Penn State Nittany Lions clinched the 2012 NCAA Wrestling Championships team title before the finals had even started. Under the leadership of 3rd year head coach Cael Sanderson, the Nittany Lions have won the last two team titles. Cornell’s 157-pound wrestler Kyle Dake (Lansing, NY – Section 4) becomes the first wrestler in NCAA history to win national titles in 3 different weight classes! SectionIXWrestling.com has provided updates on our local wrestlers at this weekend’s NCAA D1 Wrestling Championships in St. Louis, MO. 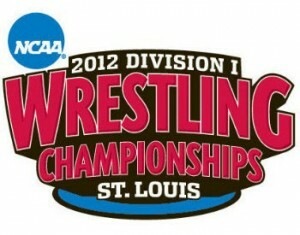 For complete tournament coverage including up-to-date brackets go to www.intermatwrestle.com. 157 – Kyle Dake (Cornell) – Lansing – 2X Champ…will wrestle St. John (Iowa) in finals!! !